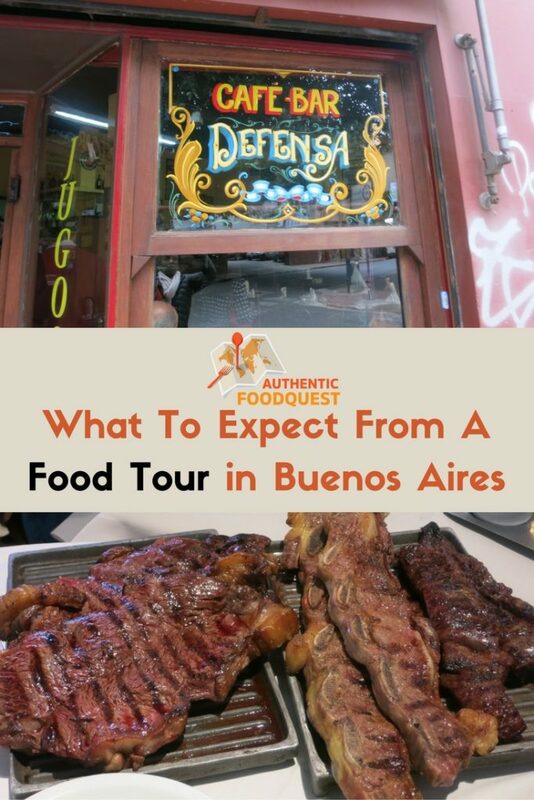 Earlier this week, courtesy of Bsas4U Tours and Activities in Buenos Aires, I had the opportunity to take a food tour with Parrilla Tour. 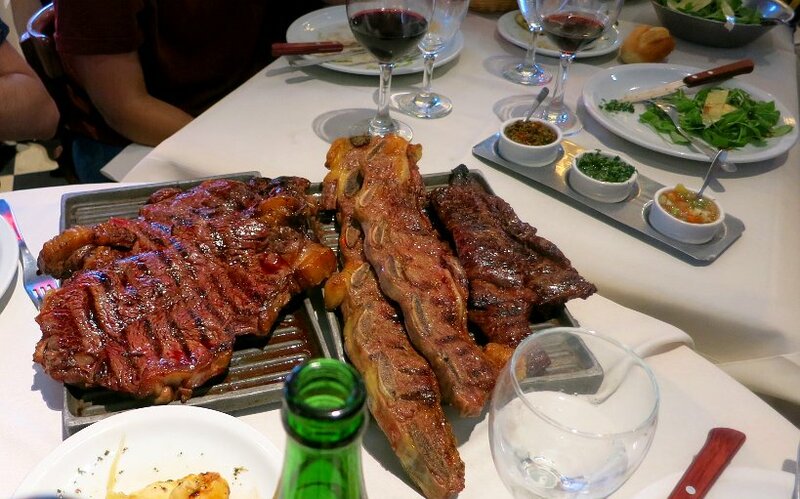 This Buenos Aires food tour was focused on parrillas (steak houses) in San Telmo. San Telmo is one of the oldest barrios in Buenos Aires dating back to the 17th century. After a very late Sunday night, I got up early enough to make it to this Buenos Aires food tour starting at 12pm. The tour was scheduled for Monday, August 17th which also happened to be a National Holiday commemorating the death of José de San Martín. San Martin is regarded as the most important Argentinian founding father who liberated not only parts of Argentina, but Chile and Peru. He is a national hero in Argentina, Chile and Peru. Knowing that the tour would be taking place on a national holiday and suspicious that restaurants and businesses would be closed, I was a little skeptical on what to expect. I met the group at the designated meeting place at noon. 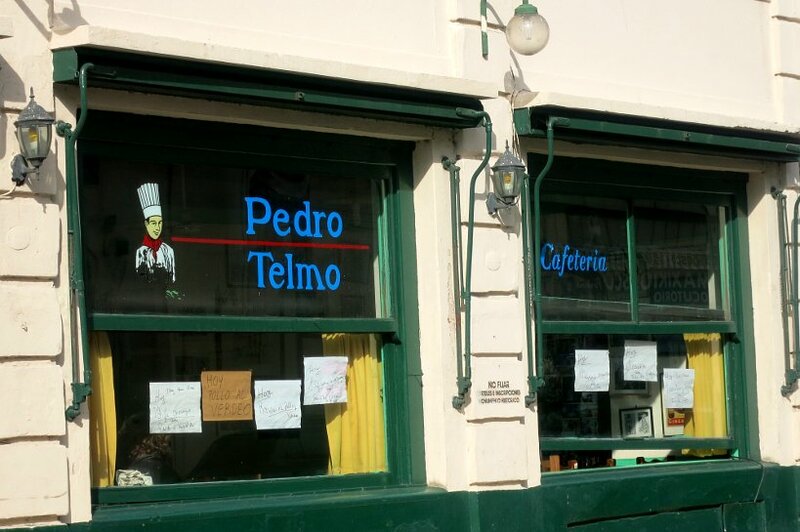 The meeting spot was an authentic family-owned pizzeria called Pedro Telmo, located off the main street of Defensa, on Bolivar between Estados Unidos and Carlos Calvo. When I got to the restaurant, there were 8 people already there for the tour, making it a small and intimate group. More than half of the group was from the US, there was a young British couple on their honeymoon and another couple from Ecuador. A nice mix of folks, under the care of Maria, our knowledgeable and oenologically-inclined Argentine tour guide. Here, we kicked off our tour with empanadas, which are a local specialities. You may see earlier posts here where we have talked about the addiction of empanadas. This is the kind of place that can kick off your addiction. We enjoyed piping-hot mouthwatering carne (meat) empanadas as Maria regaled us with stories about the history of the area, immigration and the famous San Telmo Market, which the restaurant is actually connected to. After a brief tour around San Telmo market, we made our way to Cafe Bar Defensa, a local authentic joint. Here we got a chance to experience choripán, which is local fast food. This popular sandwich is a combination of grilled sausage called chorizo and pan, crusty baguette like bread. Put the two together with chimichurri sauce and you have a delicious easy to eat, but filling sandwich. This is a typical fast-food sandwich that’s eaten on the go by portenos. At this point , make sure to measure yourself, keeping in mind that you haven’t gotten to the main meal yet, you are still in appetize phase. 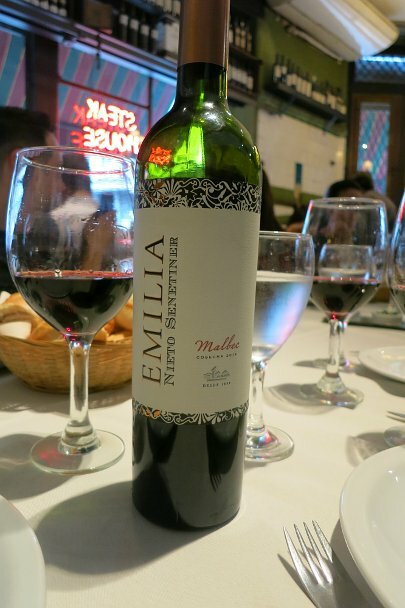 Be sure to keep room to experience the different cuts of beef and malbec wine. The San Telmo tour is strategically organized with walks around the barrio interspersed between the restaurant visits. After leaving Cafe Bar Defensa, Maria took us on a tour of area right up to Plaza Dorrego. This plaza is one of the oldest in the city and a “must visit” for any tourist in the area. This plaza is usually bustling with activity especially on Sunday’s, but it was relatively calm because it was a national holiday. We continued our walk to the restaurant taking in the atmosphere, enjoying the street art and most importantly digesting and making room for the main attraction – the beef and wine. The Gran Parrilla del Plata was the main stop on our tour to enjoy and experience authentic Argentinian barbecue. The restaurant located at the corner of San Telmo was jam-packed with locals and surprisingly, very few tourists. Charming restaurant with rustic decor, we were ushered to our waiting table already prepared with white napkins and wine glasses, suggesting a perfect meal. Our tour guide Maria had thoughtfully ordered ahead lovely Malbec wine and three cuts of beef to sample. The three cuts of the beef that she selected were the Entraña (skirt steak), Asado de tira (short ribs) and Bife Angosto ( Porterhouse or Strip Steak) and they were all a big hit at our table. 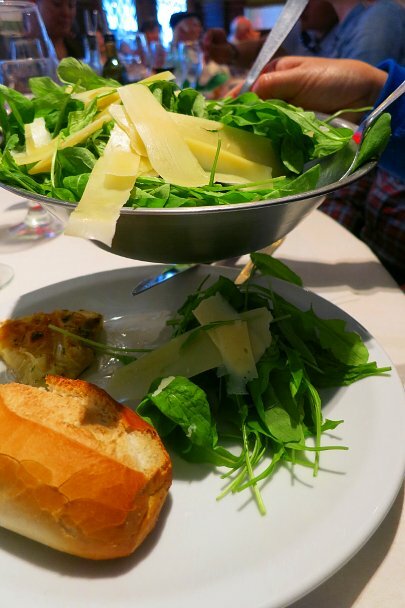 In addition to the beef, we had a simple and delicious arugula salad with strips of fresh parmesan cheese. The perfect complement to all the meat. In order of preference, my favorite was the Bife Angosto for its full and tender flavors. This was followed closely by the Asado de tira, which looked more like a cut of beef, rather than the short ribs that you find commonly in the US. This was a little more chewy, but had a unique flavors. My least favorite was the Entraña, which before this experience, was one of my favorite cuts. When compared to the other two cuts, it’s on the dry side, but still very tasty. Accompanying the meat was the famous chimichurri sauce, salsa criolla (South American version of salsa with onions, peppers, tomatoes, vinegar and salt) and a delicious basil and olive oil mix. 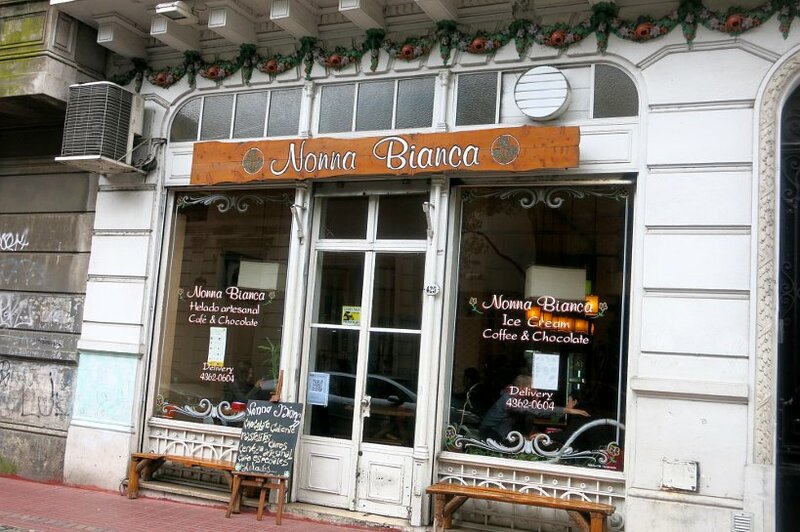 The final stop on our 2½ hour food tour ended up at the ice-cream shop, Nonna Bianca. This is one of San Telmo’s hidden gems, away from the popular Freddo and Persico ice cream chains. Walking into the store, you are immediately struck by dizzying array of choices, many of which are a variation of the very popular dulce de leche flavor. I decided to order something completely new and different and went for a scoop of mate cocido a la crema (mate and cream) and another scoop of Tramontana (vanilla and dulce de leche). Muy rico!!! These flavors will rock your world! When chatting with folks on the tour, the vast majority chose to take the food because they were short on time and were not comfortable exploring the Buenos Aires food scene on their own. Everyone, including myself was a little apprehensive about the tour since no one had ever taken a food tour before and especially not on a national holiday. Thinking back about the experience, I have to admit that I am pretty impressed with this Buenos Aires food tour, especially around the authenticity of the food. A few things that impressed me were the location of the place. The tour was conducted in San Telmo, one of the most historic and bohemian barrios, that by itself is a unique experience. 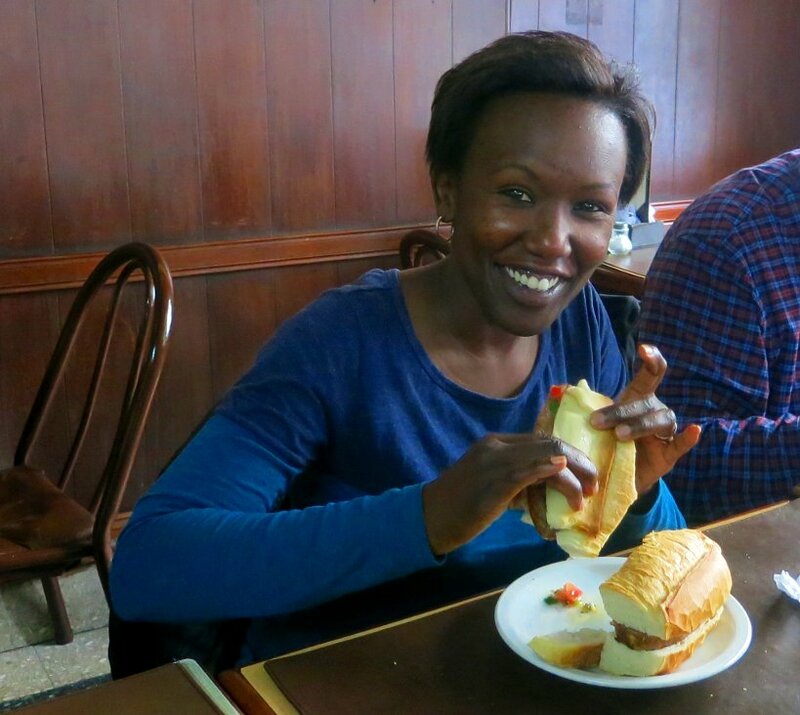 When it comes to authentic food, the tour did a great job of including empanadas, which are authentically from the region. As well, kudos to Parrilla Tour Buenos Aires for including the choripán experience which is a popular local fast food. If you’ve never heard of the choripán, you wouldn’t know to experience it. There are many places to have a good parrilla and the Gran Parrilla del Plata is an excellent choice to highlight on the tour. It’s frequented by locals and a wonderful place to enjoy with a group or on a date. Finally, the one thing Argentinians love is their ice-cream. It is often ordered by the kilo and delivered to people’s home. Imagine “Dominos for ice-cream delivery.” Taking the group off the popular Freddo and Persico path, to discover this hidden gem was a huge plus. If you find yourself in Buenos Aires and are short on time or seeking a solid experience, you can’t go wrong with Parilla Tours Buenos Aires. Check Parrilla Tour website for more information or book online this and more activities in Buenos Aires with Bsas4u. We are pleased to announce that our readers get a discount on food and wine tours when using our discount code below when booking online. Pedro Telmo – Bolívar 962, Buenos Aires. 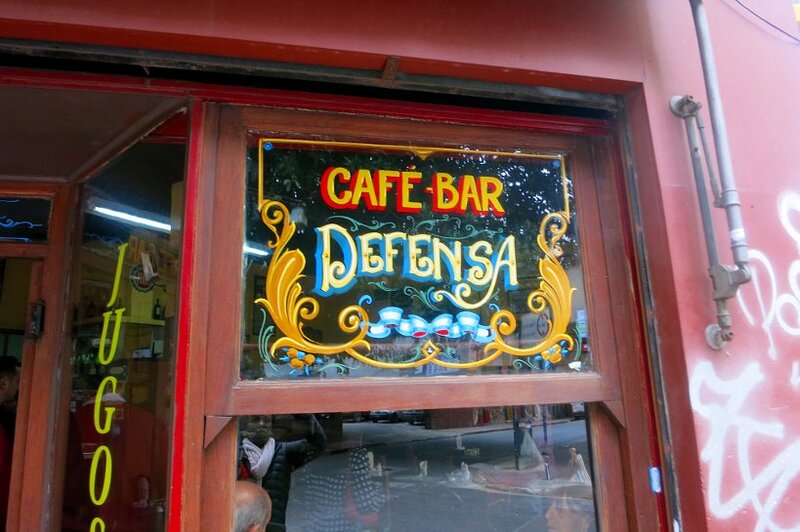 Cafe Bar Defensa – Defensa 1301, Buenos Aires. Gran Parrilla del Plata – Chile 594, Buenos Aires. Nonna Bianca – Estados Unidos 425, Buenos Aires. Special thanks to Bsas4u and Parrilla Tour Buenos Aires for having me on this tour. All views and opinions expressed are my own. Full belly and happy taste buds as well. 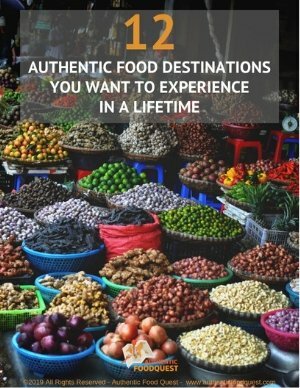 Love the idea of a food tour! That meat looks amazing, and that ice-cream. 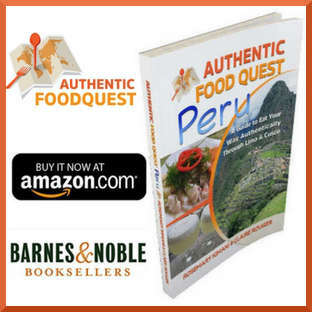 It sounds like your guides were able to steer you towards places with authentic local food. 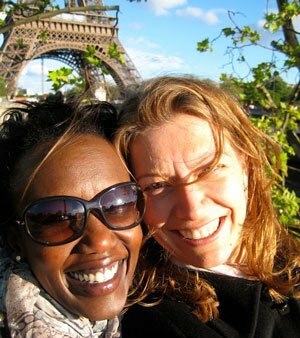 Hi Elissa, One of the best parts about the food tour is that the places our guide took us too were indeed authentic. Delicious food and yummy ice-cream. If your travels take you to Argentina, do check them out. Thanks for your comments. Wow- this all looks incredible and the portions are so generous. I made the mistake of reading this when I was hungry! That’s so true Nathan…the portions in general in Argentina are humongous. Great tour and food experience. Thanks for your comments. Thanks Tandy, the experience on the tour was nothing short of phenomenal. Authentic places and amazing food. The best of all worlds 🙂 Highly recommend if you travels take you to Argentina. That empenada looks top notch! 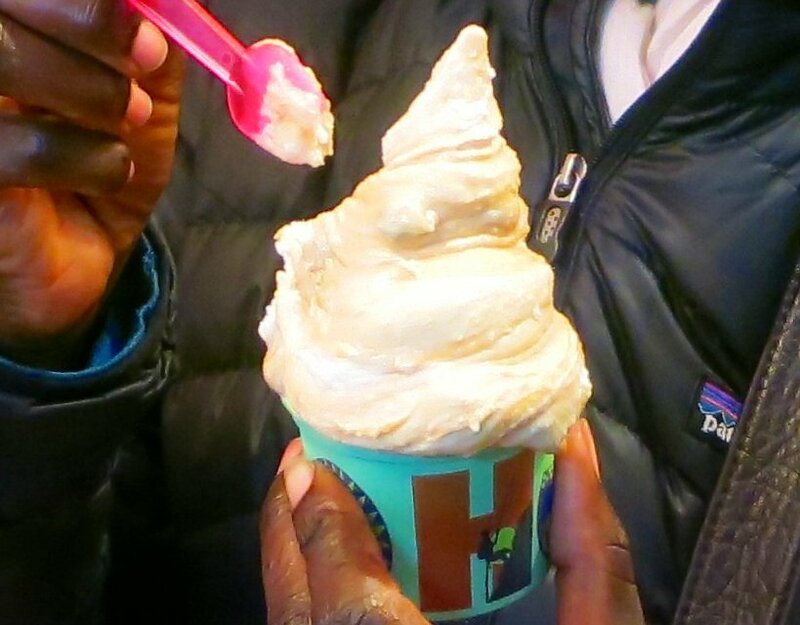 That last photo really made me crave some ice cream right about now. It looks like you had an amazing time. Love how you eat your way around the world! Thanks so much Laura. 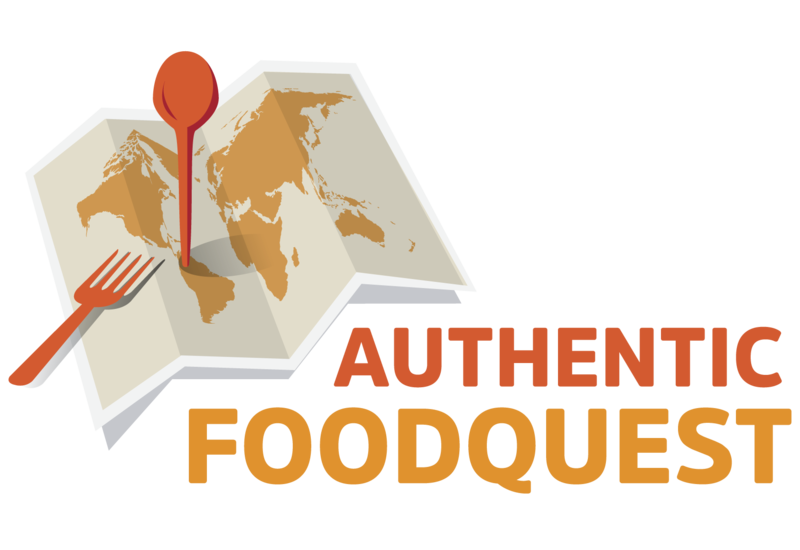 We are enjoying discovering authentic dishes around the world and highlighting them so that people can create their own food adventures. So glad you enjoyed the pictures. The “helados” or ice cream was divine. Thanks for your comments. The food, dessert, and wine looks and sounds amazing! What a fun experience!! Thank you Jenn for your comments. 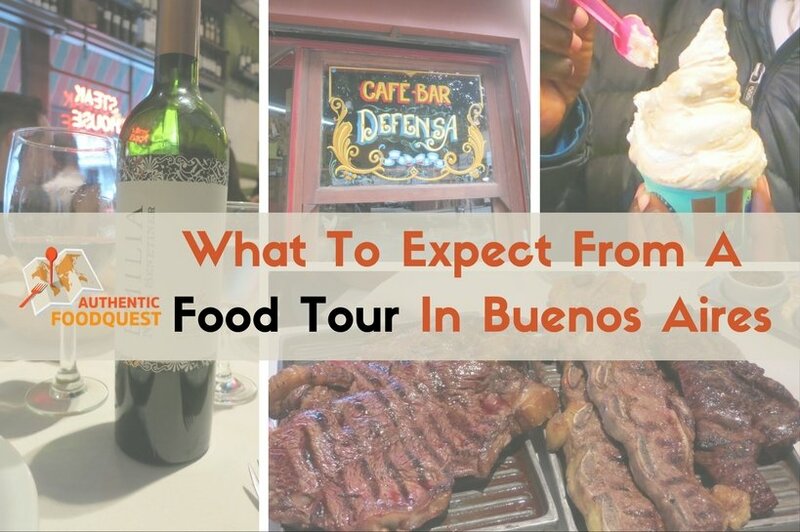 A food tour with Bsas4U in Buenos Aires is a great idea for an authentic experience. Do check them out if you find yourself in Buenos Aires. Cheers! Your food experience looks incredible! I would love to try the empanadas and that meat looks so well cooked it just melts in your mouth! 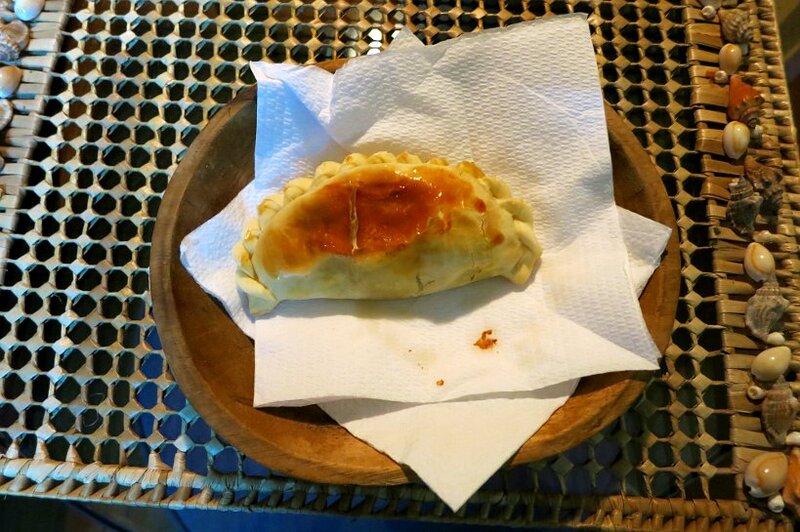 Count me in for the next Buenos Aires food tour! Okay Gina, we’ve got a deal. Next meeting in Buenos Aires on a food tour 🙂 So glad you enjoyed reading the post. We appreciate your comments. What a great post! Everything sounds so delicious; I would be afraid I would be full by the second place though lol Glad you had a great time and I will definitely watch out for these restaurants when I get to Buenos Aires. Oh. My. God. I am so hungry now. I’m literally salivating from behind my computer screen. I always heard Argentina had great food…think I’ll just have to go and see for myself now! Thanks Julie for your comments. Argentina really does have delicious food. Well worth the visit 🙂 Cheers! Wow, this looks like quite the meat filled tour, haha. It all looks so amazing though. Great re-cap of the tour. I will definitely look them up if I am ever in the area. 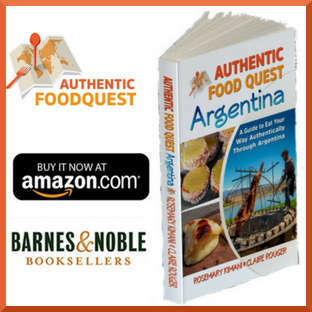 Hi Susanna, meat and beef is so much a part of the Argentine culture and it cannot be ignored! The good news is that with the tour, we went to great little authentic restaurants, which made for a great experience. Do check them out if you are in the area. Thanks for your comments. Food looks so good! I was meant to go on a food tour while I was in Italy but I didn’t have enough time ? Wow that’s a great way to experience the place …a bit of history at the same time tasting the local delicious food. You are right Anne, the food tour provided a great recap with local history and each dish. A great way to go!! Thanks for your comments. This was a great read, I’ve always been interested in going on a food tour, so it is nice to get an idea of what kind of stuff happens. It’s especially interesting to learn that food tours can specialize in things like how yours focused on steakhouses. My wife and I have been looking at maybe doing a food tour either this summer or the next, so we’ll have to keep that in mind and find one that suits our tastes. That’s wonderful and so glad you enjoyed the article. 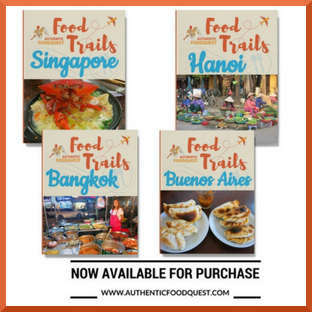 Food tours are such a delicious way to discover the local culture. And, as you noted they come in so many different varieties, so it’s easy to find something you’ll love!. Let us know where you end taking your first food tour 🙂 Enjoy!